If a pipe happens to burst in your Annapolis home, you may be dealing with a problem of epic proportions, due to the fact that this can cause huge amounts of damage in a very short period of time. If you do own a home, here are three ways that you can prevent this unfortunate circumstance from happening to you and your family. The biggest part of preventing a burst pipe is simply being aware of the pipes in your home and checking them out regularly. It is important to do a pretty thorough walk through and inspect your pipes before the weather starts to change and get very cold, as temperatures that drop below freezing are the number one cause for broken pipes. Doing this regularly, at least once a year before winter time rolls around, will likely help you to catch a problem early if there is something developing. If you have pipes that are outside and the temperature is falling below freezing, you should absolutely let the water trickle through the pipes, by opening a faucet a tiny bit on one end. This will force a small amount of water to come through the pipes at a constant rate, which should not cost too much money or waste very much water, but will likely prevent your pipes from breaking. It is very important to be aware of the overall temperature, especially if you are living in an older home that has aging pipes, as this may save you a lot of hassle and money in the long run. Although you should always make sure that you know how your piping system works and regularly check them out yourself to make sure nothing is wrong, you should absolutely hire a plumber to do a more thorough inspection ever few years. You may be able to notice small signs that something does not look right and may have an inclination that your pipes are getting old or developing a problem, it is always better to get an opinion from a professional. 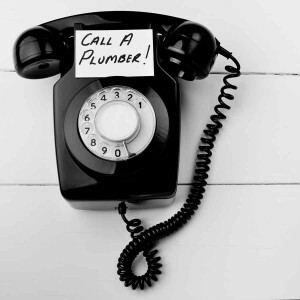 Calling out a plumbing company will relieve a lot of stress off of your back, as you will know that your Annapolis pipes are in good working order, and you will therefore not run the risk of encountering the daunting problem that is a broken pipe during the cold months of the year. Avoid a costly pipe burst with these key tips! Call Heidler, Inc at (410) 268-7191 for repairs in your Annapolis home.